There might be a lot of queries on your mind as to how is possible to get the right knowledge on the types of assets that you have. You might also wonder as to how it is possible to manage the thousands of multiple-platform endpoints in your environment. Is it possible to make sure the latest software patches are available on your servers and workstations? 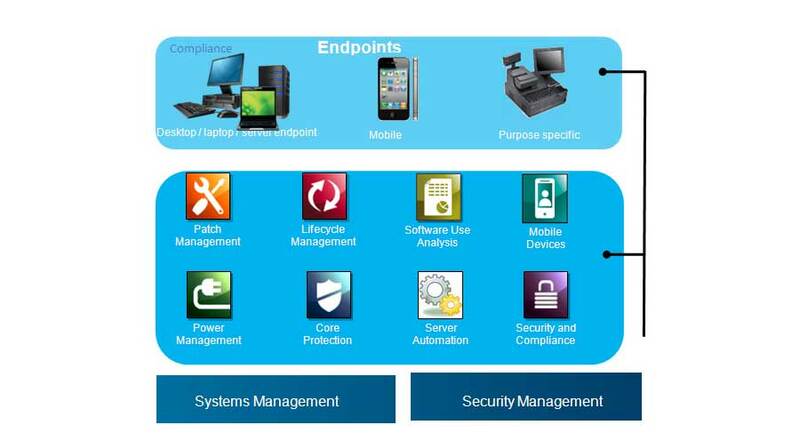 How to take good steps in the distribution of new software packages to your endpoint? Wonder, if it would be possible for you to manage all these important and useful things from a particular console? Built on BigFix technology, IBM Tivoli Endpoint Manager provides a single console and lightweight agent solution for managing your endpoints. It makes it possible for you in managing physical as well as virtual endpoints that in turn make it possible in combining endpoint and security management into a single solution. What's more, specialized devices such as kiosks and Automated Teller Machines (ATMs) as well as notebooks, desktops, servers...etc can be managed in the perfect manner. Another interesting thing is that it can be located from a server in the data center virtually any location. It helps in a lot of ways in providing centralized view of your environment and it also provides the best as well as quick protection when threats arise. Time intensive tasks can also be automated so as to reduce support and risk compliance in the best way.